This is a review of the Undeniably Elite Toes equipment for Game of War which is part of the Xenas Gear equipment set. The Xena’s Gear set was released in December 2014 and is comprised of 10 items. 5 were in the initial release and 5 ‘Legendary Defensive Items’ were released in Jan 2015. They are all combat focussed and most include at least one of the three new boosts. Enemy Defense Debuff, Enemy Health Debuff and Enemy Troop Attack Debuff. See the Guide to Combat Boosts for more info. They primarily use standard materials mixed in with Death’s Ashes, Wax, Cotton and Yellow Leaf. Silver costs are expensive to very expensive. With two defensive combat boosts this item is definitely for taking hits. The is the very best item for Trap Attack. Despite it not being the best of boosts, 45% is a very large boost amount. This is paired with the best defensive boost – Enemy Attack Debuff. Overall these are boostwise the best defensive shoes going if you plan on taking hits inside your stronghold. A slightly lower score here due to the limited use of Trap Attack. If you are a medium-power stronghold taking hits then it is a very useful boost and could force the attacker into using siege (which means more kills for you). However, boosting 125k traps is not that great when you have millions of troops. Much better to just boost the troops. Aside from the trap boost, Attack Debuff is a great boost and 33% is significant. At 100m silver this item is expensive. Requires two standard materials and two seasonal materials. Getting hold of wax is the concern here. This is much much easier to build than the other Xena’s items offering attack debuff – no demon tail required. An interesting item here. On one hand it offers a high Troop Attack debuff without the need for a demon tail. This is excellent in its own right. On the other it provides Trap Attack boost which for many players is a waste. I would say this is the very best item for trap accounts and simply a very good item for everyone else. With the new Trap capacity boosts from the Defense Tree doesn’t this Trap bonus Equipment become more valuable. 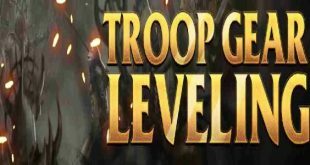 From 125K traps you can now max out with 325K traps with the Defense Tree Trap Capacity Lvl 10! What are your thoughts on using the attack debuff of the defensive xena gear against the very high attack boost from lvl 5 and lvl 6 core. Does the overall attack debuff mitigate the high attack boost levels ? Hi, attack debuff is the best way of mitigating high attack boost levels yes. There are currently only a few items that offer it though if you are thinking of stacking it to high boost levels. The benefit to this footwear is the troop attack debuff. I’d discount trap attack gear in its entirety (depending on the stage of where a kingdom is at growth wise but for 90% of kingdoms trap attack gear is much better swapped out with attack boosts and health). These along with Harvest Boots continue to be the best shoes in the game on a general use level. Slaggy just curious do you have a high level account or are you playing The end game level stuff yet?